Chinese mobile phone maker Vivo has today unveiled new 3D sensing technology which it says has 10 times the accuracy of the Face ID authentication system in Apple's iPhone X.
Vivo says its Time of Flight (TOF) system uses 300,000 data points to map the user's face in three dimensions, compared to the 30,000 points of infrared light used in Apple's facial mapping technology. The TOF system works by detecting the time it takes for emitted pulse light to return to the sensor, which allows it to accurately map objects at up to three meters in front of it, according to Vivo. The company said the tech would enable "new opportunities in facial, gesture and motion recognition, 3D photography and AR, expanding the capabilities of the next generation of smart devices." 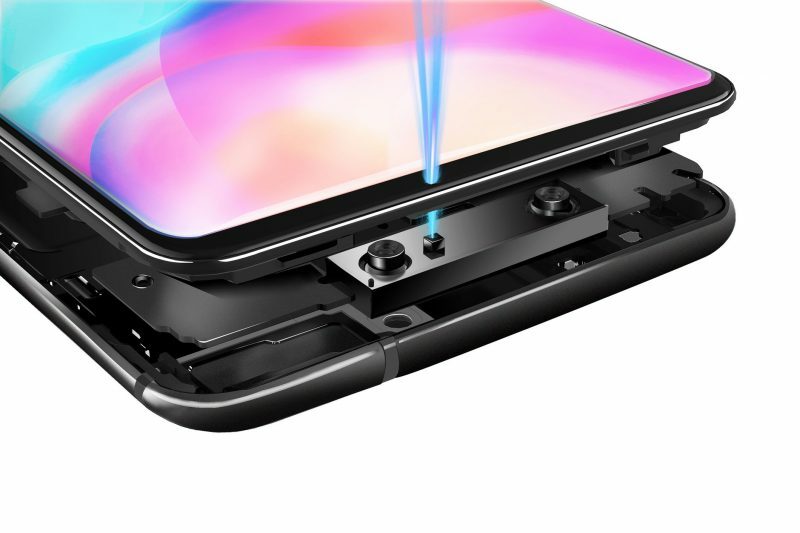 Vivo demonstrated the 3D sensing technology at the Mobile World Congress in Shanghai, a stage it has used in the past to make similar big reveals. Last year Vivo used the platform to unveil its screen-embedded fingerprint sensor technology, at a time when Apple was thought to be struggling to achieve the same result. Of course, it later emerged that Apple was leaving fingerprint recognition systems behind. Vivo says its latest 3D sensing tech is "no mere proof of concept", but it will be a while before it makes it into a commercial smartphone. Whether the increased number of data points automatically translates in practice to better security and accuracy remains to be seen. Yea, but does it “just work”? which it says has 10 times the accuracy of the Face ID authentication system in Apple's iPhone X. Point of clarification: 10 times the data points does not automatically mean 10 times the accuracy, at least from a usability standpoint. I can draw a straight line, for example, with two points or 50 points and be equally accurate. Of course faces are more complicated, but I’m pointing out that more data points aren’t necessarily more accurate. In fact, if the logic behind the data points isn’t smart, such a setup could theoretically actually be less accurate by interpreting subtle changes in facial expression, or a scar, or a shadow, as a different face. How so? Mine is pretty flawless. Which I understood, I just meant that by extrapolating your statement, Touch ID is a disaster for someone like my dad. I don't think faceid or touchid is a failure but I think the term It just works, is an inaccurate over used meme that no longer describes apple products. This is just pure dishonest claim by Vivo. (if the article is completely accurate) How can the number of data points be comparable if the underlying technology is completely different. According to this article Vivo is using Time of Flight which is very bad to track anything but motion (like Microsoft 2nd gen Kinect). Apple didn't use Time of Flight for face recognition. They only use Time of Flight as the proximity sensor to trigger rest of the FaceID main components. The main technology Apple use for FaceID is Structured-light which is far more accurate in 3d space recognition than Time of Flight can ever hope to achieve. To explain why Time of Flight is bad for face recognition no matter how many data point they add. It is due to physic especially speed of the light. Time of Flight rely on detecting extremely tiny difference in time of travel for the light to bounce back from the target. The speed of light is extremely fast, and for the tiny distance between your face and where you normal hold your phone the difference in distance between how far is point A and point B on your face from your phone is too small to tell for any modern CPU (The accuracy is limited by the clock speed. for any CPU it can only detect difference no smaller than its single clock cycle, and for the time between a single clock cycle for a 3Ghz CPU the light can travel almost 10cm during that time. It can barely tell that you had a nose) It might be good for application such as autonomous driving sensor or AR/VR in large space where resolution of few centimeters isn't really that much an issue when combine with other sensors, but unless this article is wrong about which technology they use I wouldn't trust it any more than the pattern lock on Android phone. This reminds me so much of the megapixel camera war. More pixels does not always mean a better picture. The Apple logo does not always mean a better product. Oh goody! More of our vital data in the hands of the Chinese. Vivo can no more be trusted than ZTE. Also, how difficult is it for these devices to record our iris and retinal features? Too much paranoia? Maybe. Yeah... Like i would trust any American company for my data right? I trust Chinese more than american, what can Chinese government do to me whem they have my data? I am more worrying about US government because i am living in North America. Quite simple it wouldn't work all of the time and I had to type in my code instead. Well by that logic, Touch ID was an utter failure. Especially if you've been a tradesman all of your life and your fingerprints have more in common with 100 grit sandpaper than skin. Mine also, it just works.